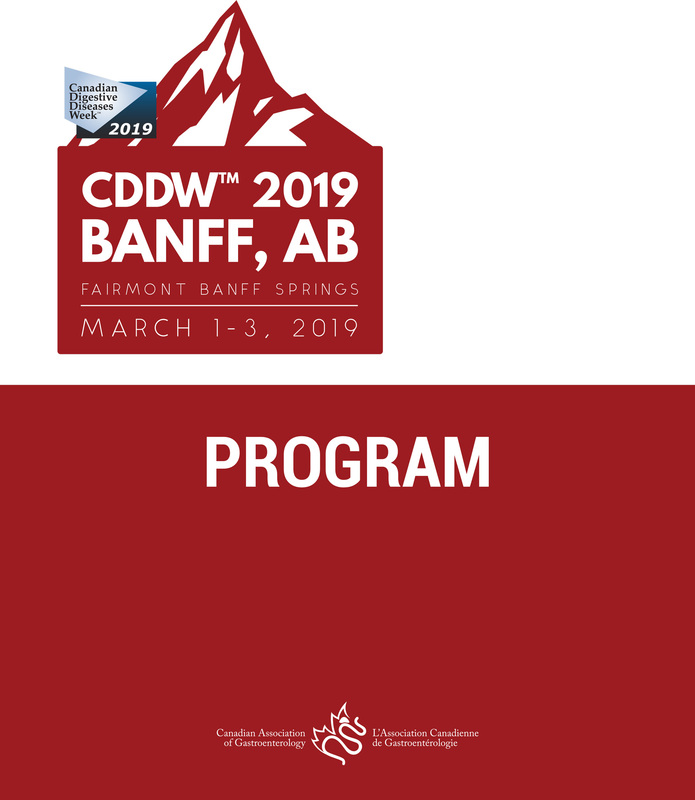 THANK YOU for Attending CDDW™ 2019 in Banff, Alberta! 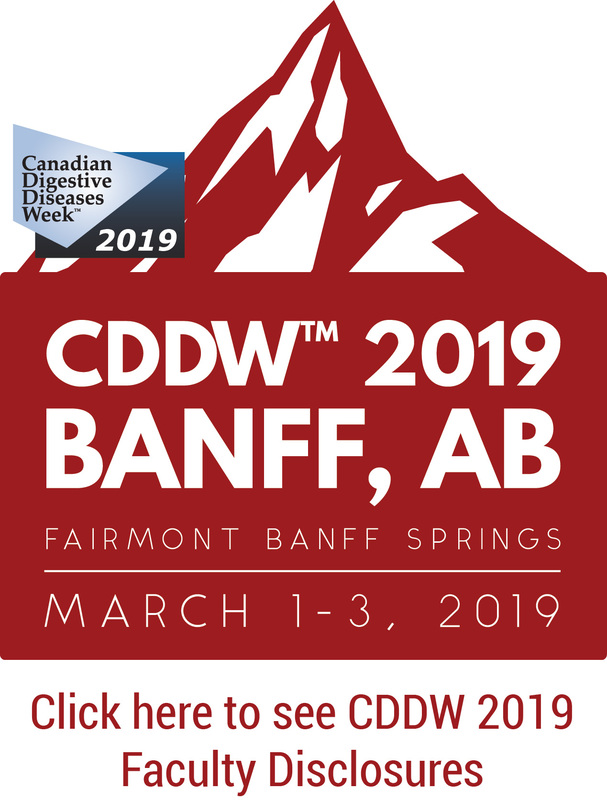 Canadian Digestive Diseases Week™ (CDDW™) is Canada's premiere educational conference which showcases the best of Canadian gastroenterology and hepatology research. It provides a venue for colleagues and partners to meet. Whether you work in patient care, research, education or administration, CDDW™ is the place to be! The core conference program offers both clinical and basic science sessions, including the trademark events noted below. Named after the founder of the Association, this prestigious lecture features an international leader in the area. Intended to bring clinicians up-to-date with advancements in selected areas. Address a variety of basic and clinical science topics. Offer interactive time with leaders in the field in a small group learning format. Honours – respectively - an outstanding Canadian researcher, and basic or clinical science contributions to gastroenterology from a younger Association member (under 45 years of age or within seven years of first academic appointment). Held directly prior to CDDW™, the Gastroenterology Residents-in-Training (GRIT) Course, the Scholars' Program and the Research Topics in GI Disease Meeting are invitation-only educational events for gastroenterology residents; medical students and PGY1 and PGY2 internal medicine residents; and, PhD and MD postdoctoral trainees engaged in gastrointestinal research, respectively. 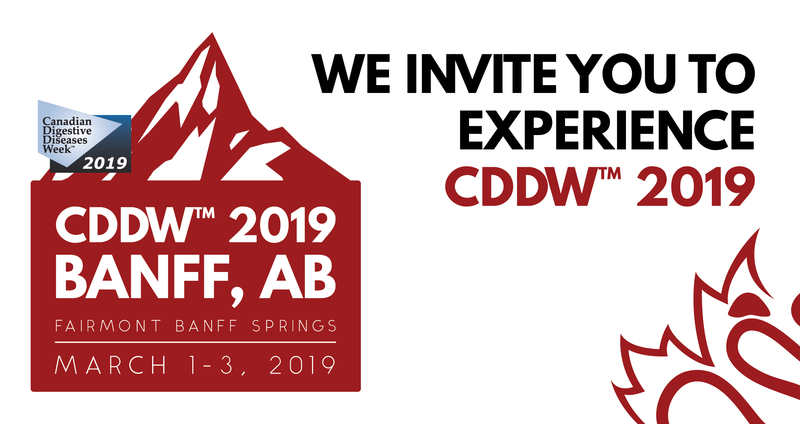 CDDW™ 2020 will take place in Montréal between February 23 - March 4th, 2020. More details to follow! Before registering for CDDW™, if you are a CAG member, you may wish to use a promo code for discounted pricing. If you do not have a promo code, only the non-member rate will be available. You will be asked to enter this code during registration. CAG members will need to enter their promo code to access the CDDW™ member registration rate. Don't miss the early bird deadline! CAG members save up to $100 by registering before January 4, 2019. Note: In order to obtain member registration rates, we encourage you to apply to be a member before January 31, 2019 to avoid a delay in your application process. Please note! Delegates who register for CDDW™ at the door will incur a $50 admin fee. CDDW™ speakers and co-chairs will be emailed their promo code. If you have not received your speaker/co-chair promo code, please contact Cindy Roll (CAG National Office). To find promo codes, CAG members who have renewed for 2019 can locate them when they log in to their MY CAG account and click on "My Profile", or contact Cindy Roll (CAG National Office) at 1.888.780.0007 or by email. Note: Even if you have a free membership, you must renew for 2019 under "My Profile" to obtain the codes. Sponsors and Exhibitors please obtain your promo code from Cindy Roll (CAG National Office). Please note delegates are responsible for booking their own accommodation and transportation. Are you an international attendee? CDDW™ attracts a considerable number of attendees and guest speakers from around the world. 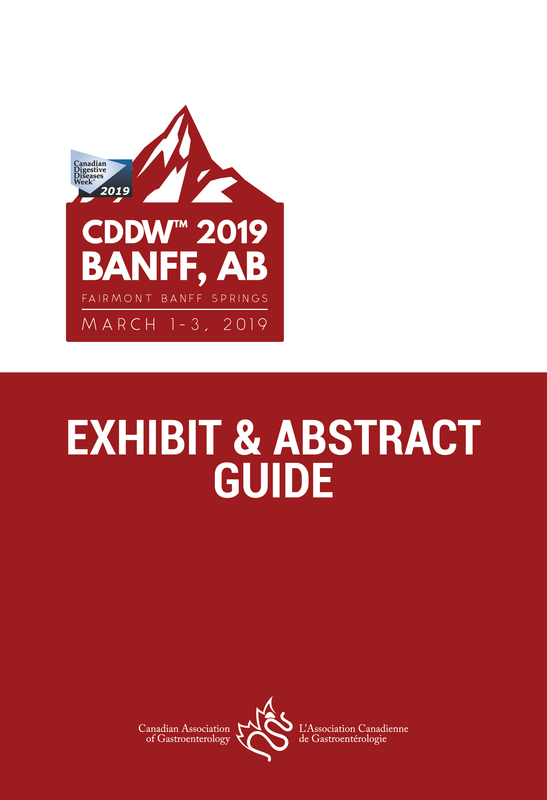 International attendees can participate at CDDW™; however, each international attendee should individually confirm for himself/herself whether a visa is required for entry to Canada prior to registering.